Everyday communications have evolved. No longer are phone calls the primary means of conveying a message between a patient and his/her care team. As patient portals begin to become more common, patients will begin to expect a secure messaging platform for secure communications. Keep pace with the changing face of healthcare and engage patients online with a secure, ONC certified patient portal that offers a personal health record to your patients. Patients are aware that their health information is protected by HIPAA laws that insure their personal health information is not accessible to any unauthorized parties, and ONC certification also requires a strict regiment of security protocols that can stand up to an audit from approved certifying bodies. ONC certification also means that using Healthjump’s patient portal will also get you credit, if properly utilized, for Meaningful Use objectives regarding secure messaging and view/download/transmit. 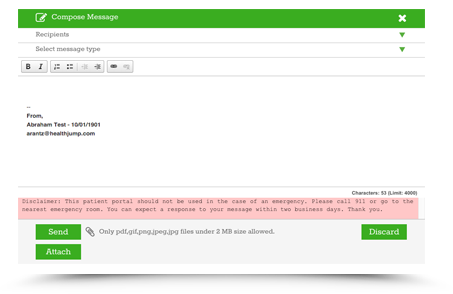 Reach out to your patients using the patient messaging feature. Patient messaging also allows your patients to message your practice at their convenience anytime day or night. Route messages to the appropriate staff member(s) by setting up delegates. Increase patient satisfaction and efficiencies by utilizing Patient Messaging. Depending on your integration method, messages can be delivered directly into your EHR, or by using our light touch Jumpstart application which will alert you when you have new messages. Providing online appointment scheduling is another great convenience to your patients and good for your practice. This module allows you to either show available appointment slots, or, just allow your patients to make a request. 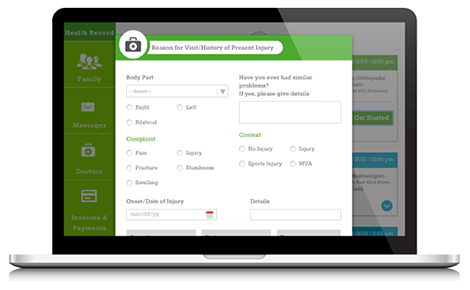 You can even prompt the patient with questions when they make their appointment request. Depending on your integration method, your schedule can be pulled directly from your practice management system, or, you can upload your schedule using our light touch Jumpstart application. Appointment request can also be sent directly to your practice management system, or, you can receive an alert from Jumpstart. Reduce your days in A/R by making the patient responsible invoices available online. Making bill pay convenient increases your chance of getting paid faster. 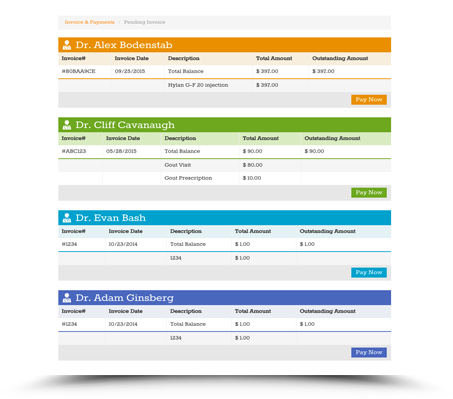 Invoices can automatically be uploaded with an interface to your practice management system, or, you can easily create one using our light touch Jumpstart application. Save patients the time in the waiting room and help them avoid countless repetitive instances of writing the same information on paper intake forms. 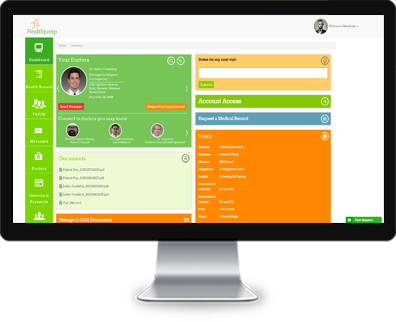 Allow patients to fill out their information before they arrive and remove the burden on staff to manually input the data into your system. Some elements of Healthjump’s intake forms can be modified to meet a practice’s custom needs. Increase the value and attraction of your current patient portal offering by allowing patients to consolidate their documents and data into Healthjump’s personal health record (PHR). 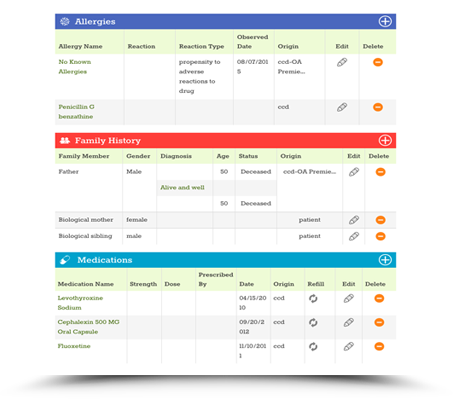 The personal health record will allow practices to upload C-CDAs and other system generated documents seamlessly from their EHR to the PHR so that patients will have their medical record easily accessible in the event of an emergency or when they need to deliver records to another member of their care team. 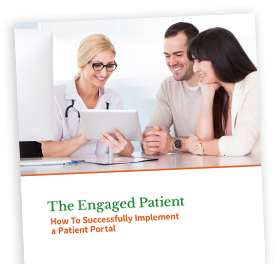 Get your copy of The Engaged Patient today to enhance the way you interact with your patient population. Everything from proper implementation of a patient portal to tips and tricks on how to get patients to use it is covered in this powerful eBook. Download it today!